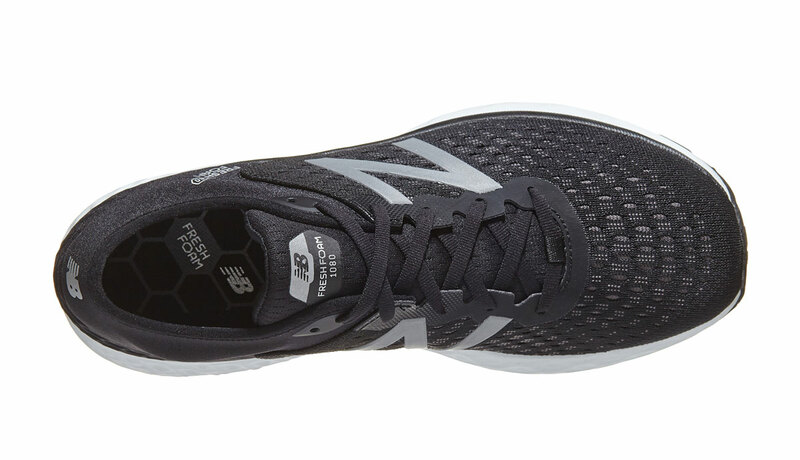 Thomas: Like its predecessor, the New Balance 1080v9 is meant for cruising. 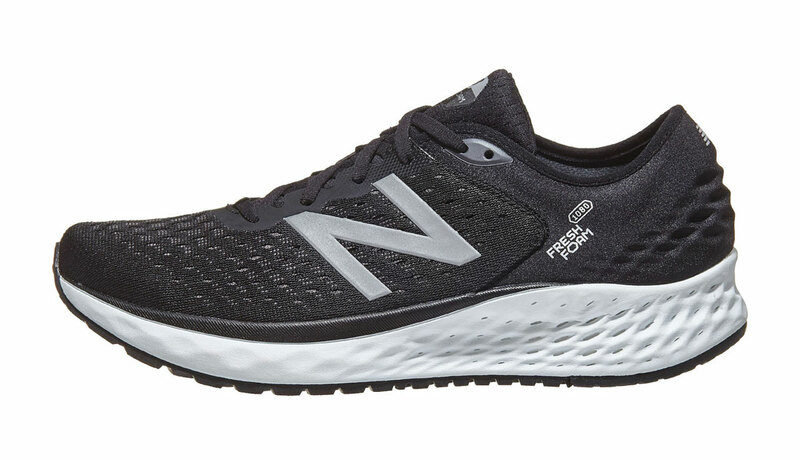 New Balance put loads of Freshfoam midsole cushioning under your foot and threw in an Ortholite footbed for extra comfort. The upper is more streamlined than the 1080v8 and has a sleeker more modern feel with fewer chunky overlays. The over-padded tongue and ankle collar are gone, the toebox looks thinner, and less squared off at the toe. Overall a better-looking performance trainer. 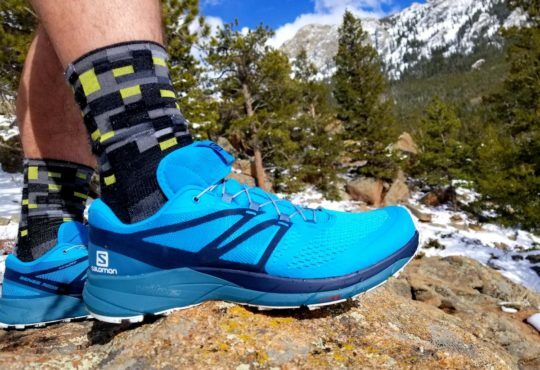 Under the Freshfoam there is full coverage rubber that gives the 1080v9 traction and durability. The flex cut-outs have been changed from the 1080v8 and seem to give a smoother feel and more flexibility under the toes. Even with all the Freshfoam, I wouldn’t call the 1080v9 plush. It is certainly cushioned, but it isn’t sloppy — the ride borders on firm. I don’t normally comment on shoelaces, but the laces are unique in that they have a small amount of elasticity in them. The stretchiness aids in giving you a comfortable fit. 8mm Drop, 10.95 oz. / 308 grams for men’s size 10.5 (USA) The 1080v8 weighed 11.45 ounces, so the update scraped off almost a full ounce. That is worth celebrating. 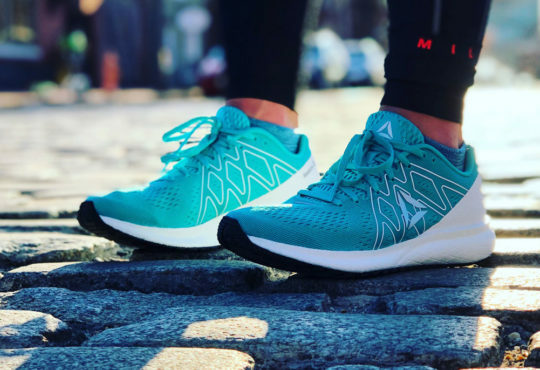 Meaghan: Just like the New Balance 1080v8, the 1080v9 surprised me, in a good way. While the shoes look similar at first glance, there are lots of updates. New Balance completely redesigned the midsole. You still get a nice slab of Fresh Foam, but it’s softer, and there’s more of it. I’m talking 30 mm stack height- it’s cushy. 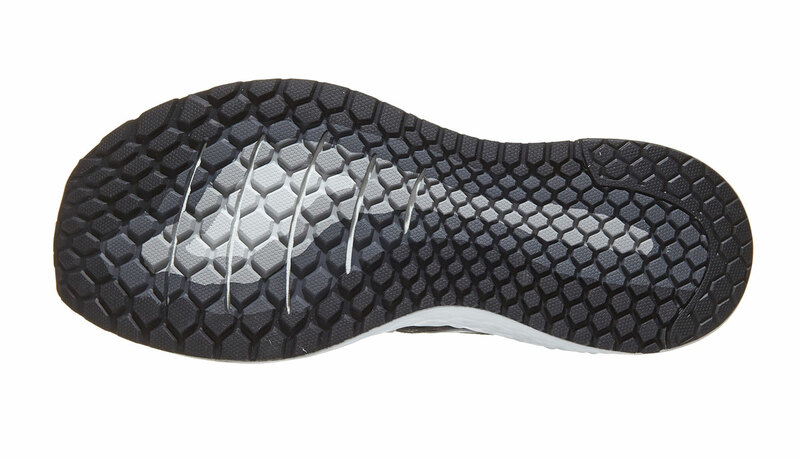 The blown rubber outsole now has more flex grooves, so you get a nice smooth ride. 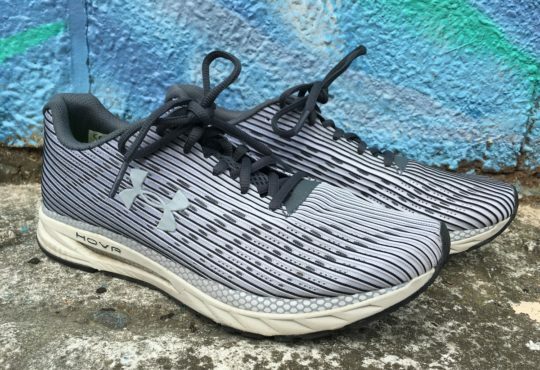 The upper comes with a new engineered mesh that wraps around your foot. It’s super comfortable, stretchy and breathes well. The heel counter is soft and comfortable, but it didn’t quite fit correctly. More on that later. The most important update is what New Balance didn’t include – an extra 1.5oz. The 1080v8 weighed ten freakin’ ounces, but this new model is a slim 8.45oz. Still not super light, but a serious improvement. Thomas: The shoe runs big for me. I document the extra room in the video review. I also had a bit of heel lift and had to wear thicker socks to get a decent fit. This all might be from the shoe running big. My guess is if I had a half size down, I would have liked the fit and ride better. Meaghan: I struggled to get a nice fit around the heel and collar – I had a lot of slippage out on the run. I was able to control it a bit with the lacing, but it was never perfect. Maybe it’s a sizing thing; I’m not sure. Thomas: New Balance’s design team is right in league with both Nike and Adidas. 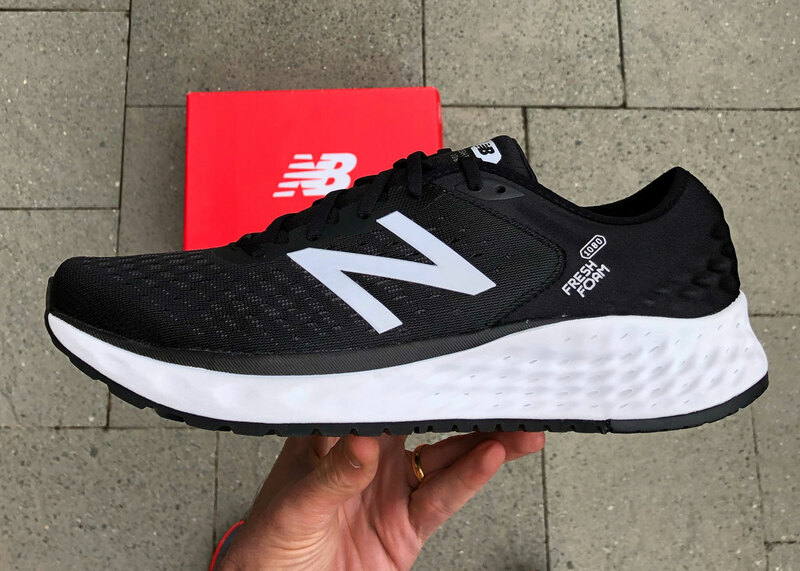 NB is making beautiful quality running shoes. The 1080v9 is a solid, durable daily trainer. At 10.95 oz. / 308 the trainer isn’t a featherweight option, but the comfort and responsiveness may make up for it. I would compare the 1080v9 to Nike Vomero 14, Hoka Clifton, Under Armour HOVR Sonic, and Adidas Solar BOOST. 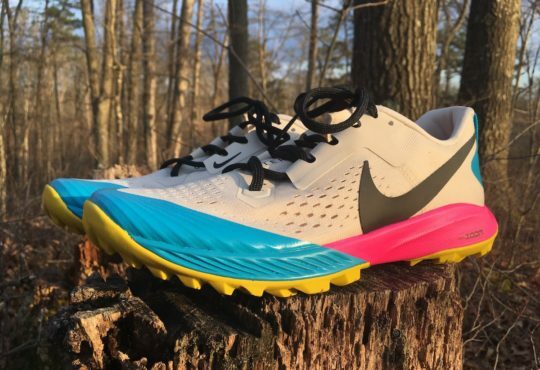 Meaghan: I wore this shoe for two of my long runs (18 miles, 20 miles) in this training cycle, which is a clear sign that I like a shoe. 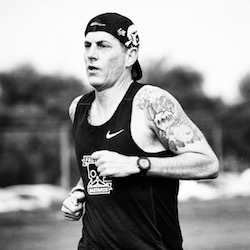 I am a sucker for comfort and cush, especially on a long run. 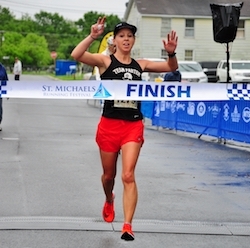 The cushioning on this shoe feels just as good on mile 19 as mile 1. 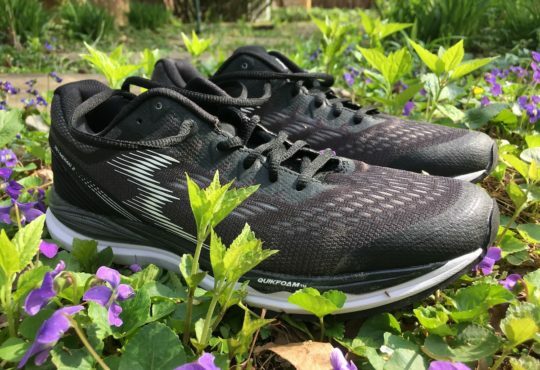 While it’s not the lightest shoe out there, it’s a great shoe for everyday, easy running. 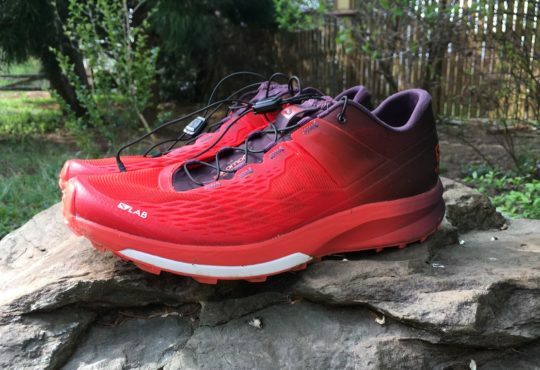 I’ve put 62 miles on this shoe so far, and it looks and feels like it did on Day 1. I would recommend the 1080v9 to anyone who likes extra cushioning and comfort. You can snag a pair for $150.